Aldo A. Flores litigates in state and federal courts on behalf of entrepreneurs and businesses. Mr. Flores is a graduate of UCLA where he graduated with honors with a degree in American Literature and Culture. He then attended and graduated from UCLA’s School of Law. Upon graduating and passing the California State Bar Examination, Mr. Flores practiced law at two litigation law firms before starting his own practice. From the outsets of his career, he has litigated in state and federal courts. One of the benefits he provides his clients is the experience. 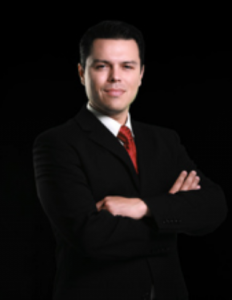 Mr. Flores has successfully taken cases from beginning through trial in both civil and criminal courts. Attorney Flores serves as litigation counsel for cities and public officials. The following are other areas where Mr. Flores has experience as legal counsel. Defense of business employers and individuals in state courts and administrative hearings in matters involving labor code violations, gender and race discrimination, civil retraining orders, defamation and tort claims. Representation of business and individuals in civil litigation cases including breach of contacts unfair competition, trade secrets and other business torts. Employment Law: Defense of companies before the California Labor Commissioner’s office and state courts, arbitration, mediation and alternative dispute resolution and trials. General counsel: Mr. Flores is general counsel for various companies in which he advises on day-to-day matters and strategy to reduce exposure to litigation.